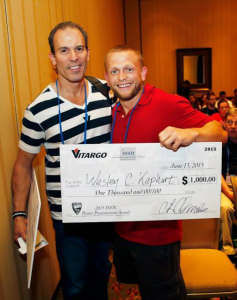 Wes Kephart (pictured with Dr. Anthony Almada from Vitargo Global Sciences, and working in the Molecular and Applied Sciences Laboratory), won the male 2015 International Society of Sports Nutrition National Conference Abstract Award sponsored by Vitargo. The award came with a $1,000 cash prize to help support his Ph.D stipend and ongoing research. 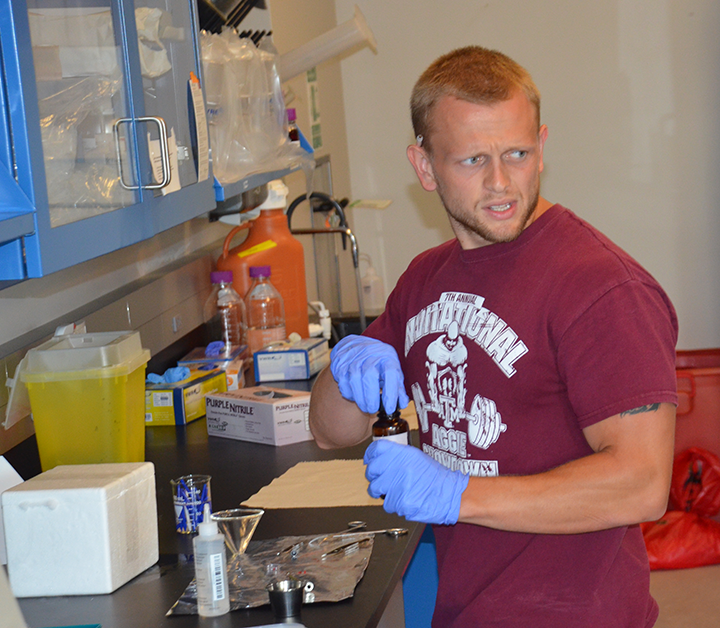 Kephart, colleagues from Auburn, and Dr. Jordan Moon (MusclePharm), determined that 10 weeks of chronic BCAA supplementation in well-trained cyclists enhanced cycling peak power variables and positively enhanced select immune markers. 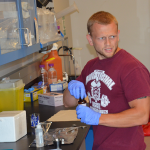 This is one of the first studies determining the effects of BCAA supplementation in endurance athletes and will be the first of several projects of its kind at Auburn University’s Molecular and Applied Sciences Laboratory. Results from this study are soon to be published in the scientific journal Amino Acids which is one of the top sports nutrition journals in the field today.